It’s worse than he reports. Gawker will censor any praise for anyone politically correct no matter how trivial it may be. After reading their attack on Taylor, I took a look at the comments. Surprisingly, almost none of them had to do with Taylor. The first comment unintentionally complimented Taylor by saying he is “just following in the footsteps of another venerable Yale alum, John C. Calhoun,” and the rest of the comments simply trashed Calhoun. “John C. Calhoun died in 1850, so he was only photographed in the last years of his life. In the early days of photography, a daguerreotype had to be exposed for upwards of 30 minutes and the subject had to stay still the entire time. 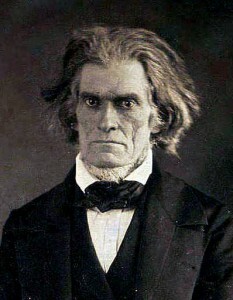 In his advanced years, Calhoun had an oddly stern expression when he could not move his mouth for such a long period of time. 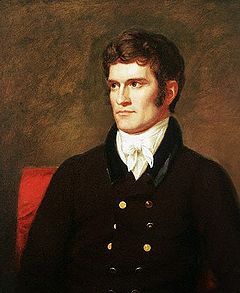 I attached this portrait of a younger Calhoun. I don’t think anything I wrote could remotely be categorized as offensive or “racist,” though I expected for a few of the progressives to call me gay. Nonetheless, I found my post deleted a couple hours later. Apparently explaining why someone had an odd facial expression in 1840s photographs is not permitted if the person in question owned slaves.